Good Friday Morning! Hope everyone is enjoying their summer. I know I am! Today over on the SOUS blog, we had a great sketch to work with this week! 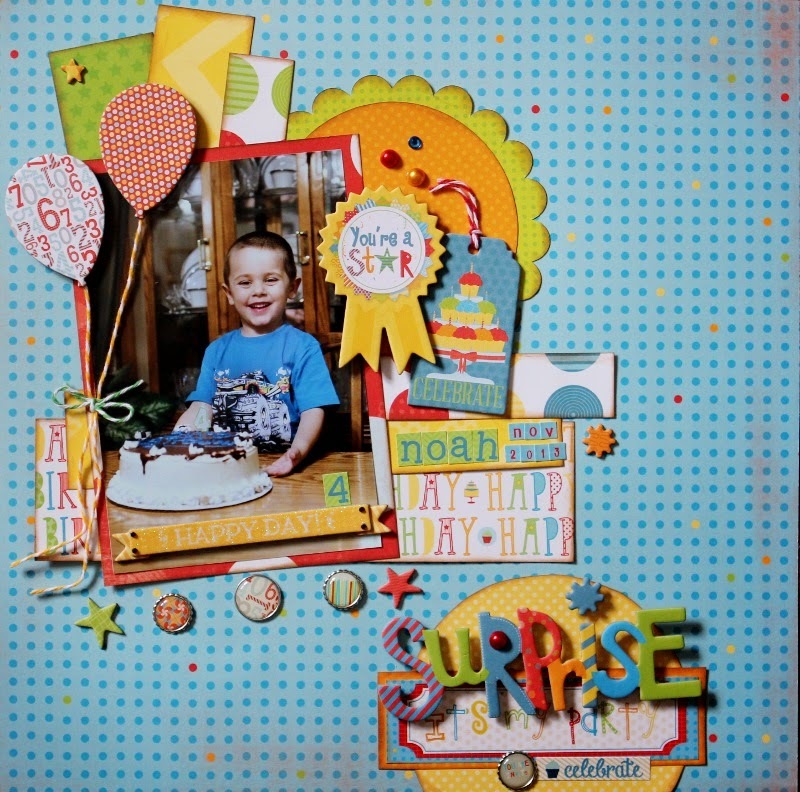 So much fun to do this layout of Noah's 4th birthday with it! I love this line from Bo Bunny! So bright and cheerful and just perfect for party picture! SOUS is offering a fantastic prize to one of our lucky challenge participants this month, so make sure to enter your project and pop on over to the blog to see what everyone else created based on this sketch! Happy scrapping! Just popped over from Cindy's. And I must say I like this page. Very festive with a great diagonal flow. Well scrapped. Oh my goodness! This is absolutely wonderful, Charlotte! I love the fun and happy design and your take on the sketch is creative and fabulous! Charlotte, this is adorable! Great job, the colors and pic are adorable!